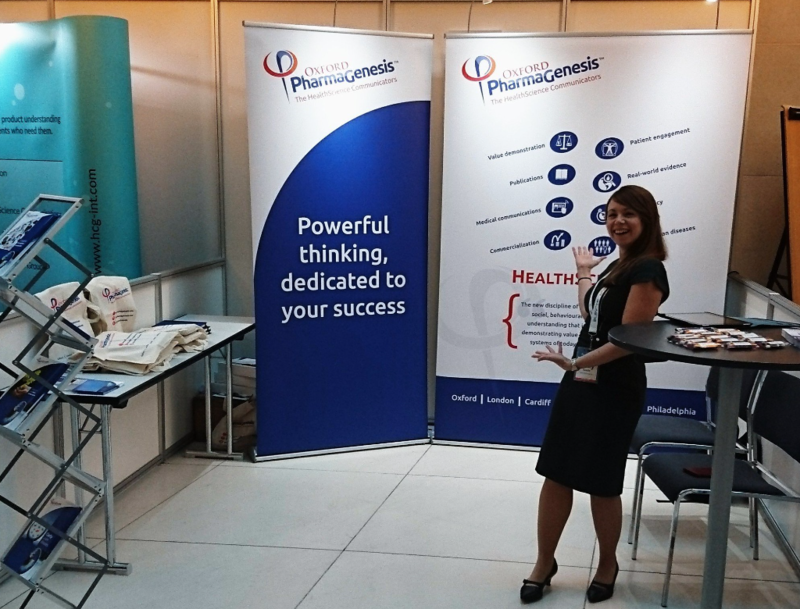 Oxford PharmaGenesis was proud to participate in and support the first European annual meeting of the Medical Affairs Professionals Society (MAPS), which took place on 21–23 October 2018, in Berlin, Germany. There were over 130 attendees at the event, including medical affairs professionals from across Europe, Africa and the Middle East. The value of the patient voice in clinical development was a central theme throughout the congress. Medical affairs professionals are uniquely placed to be the representatives of patients, to govern this relationship and strengthen commitment to patients; however, there is a need to define safe boundaries and to provide ethical support and guidance to staff on how to interact with patients. Notably, Iris Loew-Friedrich shared her experience of patient engagement at UCB, where patients are involved in clinical development from day one. She noted that by understanding the impact of the disease on the patient and what they value most in its alleviation, it is possible to provide better products that truly meet the needs of the patient. The requirement of medical affairs to keep pace with an evolving healthcare landscape also featured prominently in this year’s congress; from the use and implementation of digital solutions in healthcare, to the complex reimbursement requirements of novel therapies. The importance of real-world evidence was apparent with payers and policy makers increasingly recognizing its central role in the value story. Richard White of Oxford PharmaGenesis led a well-attended and engaging workshop on using a HealthScience-based approach to develop an aligned value story that is sufficiently flexible to speak to multiple stakeholders. To achieve this, medical affairs has a central role in bridging the gap between different functions including patients, policymakers, market access HTA, R&D and HEOR. MAPS is a relatively new medical affairs organization, attracting a lot of attention and with a rapidly growing global membership. By the end of this first European congress it was clear that this is an exciting time to work in medical affairs and that MAPS is helping to define industry goals and standards.